Spectacular beaches, world-class boutiques and the trendiest clubs and restaurants – these are just a few of the wonders that await visitors in Miami and Miami Beach. Amid state-of-the-art performing arts playhouses, sports venues and the bustling downtown area sits the 130,064sq m Miami Beach Convention Centre. Whether you are soaking up the sun or savouring the taste of the city’s trendsetting cuisine, to truly appreciate Miami and the Beaches you need to experience it. No tweet stream, blog spot or feature article can capture what makes Miami and the Beaches so meeting-worthy. If you are looking for the most exciting, outstanding, sensuous and memorable site in which to hold your next meeting, three short words say it all: it’s so Miami. Meeting planners around the world are no strangers to the phenomenal sun, surf and fine dining Miami Beach has to offer. A globally recognised, first-class destination, Miami Beach hosts world-renowned festivals such as Art Basel Miami Beach. What some might not know, however, is the convention centre is reinventing itself right before our very eyes. 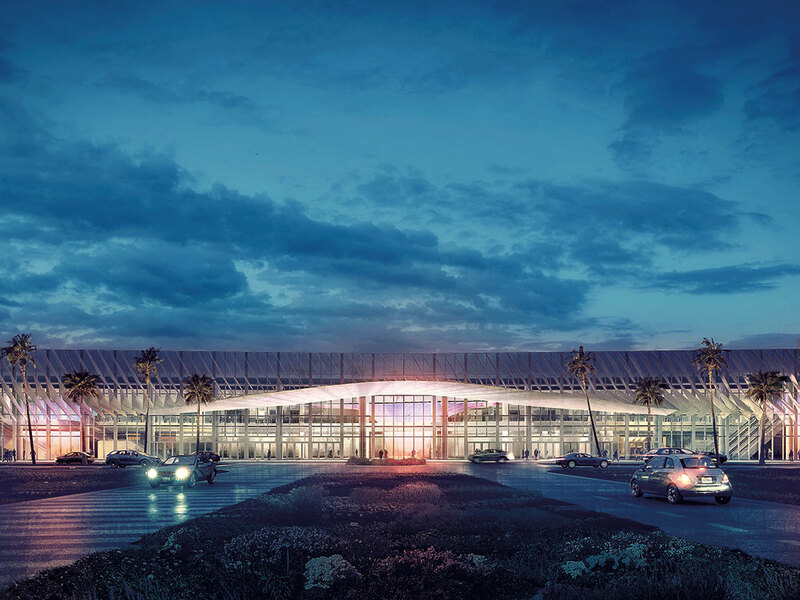 Through municipal bonds, the Miami Beach Convention Centre is currently undergoing a magnificent $615m transformation, reimagined as a state-of-the-art, LEED-certified facility accommodating both national and international events and conventions. The centre has remained open for business throughout the majority of this process, only briefly closing between January and May 2017. Renovations will be completed in 2018, and bookings are already filling up. Last year alone, more than 1.2 million delegates met in Greater Miami and the Beaches, and as Miami Beach Mayor, Phillip Levine, put it, the new facility will be a “centre for creative collaboration”. Miami Beach is not only on track to keep up with the demands of a competitive national and international convention community – its new outdoor public spaces will also improve walkability for attendees and visitors alike, connecting the centre and the city’s historic cultural district and resorts. Large or small, if you can imagine it, the centre can handle it. Upon completion, more than 17,650sq m will be dedicated to 81 breakout rooms featuring flexible arrangements for attendees. Known for their grand-scale iconic public spaces and leadership in sustainable design, the nationally acclaimed team at Fentress Architects will oversee this renovation, delivering meeting rooms with the latest in AV technology, soundproofing and attendee comfort. This 130,064sq m LEED-certified convention centre is a dream come true for industries such as medical tourism, insurance, technology, sports marketing and pharmaceuticals. Its 46,452sq m of forward-thinking, renovated and versatile exhibition space – including four massive halls – is set against a stunning backdrop of beaches, fine dining, art, shopping, luxury rooms and – of course – sunshine. Not to mention a state-of-the-art 5,574sq m grand ballroom, 1,858sq m glass rooftop junior ballroom and the reimagined indoor and outdoor public spaces.